Many readers ask us if it is good to take raw turmeric or it is essential to take powder. We have always been in favor of using raw turmeric. It is great to use raw turmeric if it’s available and not too much of hassle for one to use it. Of course, there are a few limitations while using raw turmeric but there are so many advantages too. How to use raw turmeric? How much raw turmeric to take? Unique constituents, unique benefits: Raw turmeric has several health benefits which turmeric powder will not have. For example turmeric oil is one constituents which is lost when you process turmeric. There are several other constituents too which are lost in processing. All these have a role to play to make what turmeric is. Loss of curcumin: Curcumin, the key active ingredient is lost (to an extent, not fully) while processing. Yes, that’s correct. Based on what process is used to make powder turmeric from raw turmeric – curcumin is lost. Therefore, you may have noticed that the dosage of raw and powder turmeric is not too much different. The reason maybe the fact that curcumin % is significantly higher in raw turmeric. That offsets the moisture weight in raw turmeric. Problem of bioavailability solved: You do not actually need anything to absorb curcumin if you are using whole turmeric. What? Yes! The reason is mother nature has already included an oil in it – “turmeric oil”. Isn’t it great? Turmeric oil is around 6-9% of raw turmeric. Quality control: You have more control over quality as additives / fillers and colours are added to turmeric during its processing. If we eliminate this process we eliminate a potential area of adulteration. Economical: It is much cheaper to buy raw turmeric then powder. If you love raw turmeric – you can get same benefits at much cheaper price. Great aroma: Raw turmeric has great aroma as compared to powdered one. This is because of the oils present in it. This can add a distinct taste to your food. Grow and consume: Lastly, you can grow raw turmeric in your back yard. Once you grown one batch the bulb can be sued again to grow more. You can thus control the quality of turmeric too. Okay, so how you can use raw turmeric? Add to salads .. and so on .. The list is endless and just limited by your imagination. If you want to include raw turmeric as part of your diet on a daily basis then 6-7 gms is a good. This in grated form turns out to be around 1.5 tsp. There should be no harm even if you take 2 tsp. All the standard precautions we take with turmeric powder apply here too e.g. – stop 2 weeks before surgeries, do not take too much during pregnancy, consult doctor in case of confusion, etc. etc. Lastly, start low and increase gradually. While turmeric powder is easier to use, store and does contain curcumin, it is raw turmeric, Mother Nature’s “natural gift” which seems to have many more health benefits. I would love to see some sources here. If you have peer-reviewed research on fresh vs powdered turmeric, please share! Can you rub fresh turmeric root in your teeth for whitening and oral care ? Turmeric powder mixed with coconut or olive oil is used for oral care, so fresh turmeric should not be a problem. If you do try it, please share your experience with us. I don’t understand why one would limit intake so low. I finely chop turmeric and 1 clove of garlic every morning enough to fill a table spoon add cracked pepper and honey, i then have 1/2 lemon squeezed in hot water leaving the skin in the cup this has made a huge difference to my joints and differed a knee replacement. Hi. Thank you for sharing this. We are glad to hear that turmeric helps you. I cannot understand why anyone would think that dried turmeric would be better than fresh raw… like you say “mother nature knows best”. I was interested to learn that you don’t need to add pepper to it to be absorbed, but again that makes sense. We have been taking raw turmeric in olive oil on our food for a couple of years now and very very rarely get sick. That and a shot of lemon water every morning to balance the PH, seems to be the answer. Hi Alice. Thanks for sharing this. Glad to hear that turmeric benefits you! Loved your article. Thanks for sharing such fruitful information. As I concluded is that if I want to use turmeric at my kitchen as a prevention to cancer it is impossible to get the sufficient amount of curcumin from it. Plz can you lead me how to use it in my tea as daily bases, and is it enough if I want to use raw tumeric only for prevention. If not plz recomend a supplement that you trust. Thank you, looking forward to read more of your articles. It is difficult to comment on whether curcumin obtained from dietary turmeric is sufficient for cancer prevention though experts in turmeric research recommend 1000mg curcumin daily for cancer prevention. Cancer prevention does require change in lifestyle and diet apart from just taking natural anti-cancer agents. Questions: If I buy raw turmeric and use it in hot dishes like Golden Milk, turmeric paste, curry dishes, or any other cooked way to consume turmeric, does cooking it or heating it in any way lessen the amount of nutrients like turmeric oil? If I grate raw turmeric, then dehydrate it at a low temp like 107*F, will it retain the turmeric oil and other medicinal benefits that are lost when I buy powdered turmeric? Great article on Turmeric. I’m a bit sadden by the latest report as it took away a bit of its thunder but overall, turmeric still has wonderful health benefits included inflammation. Very informative articles on Turmeric and Curcumin. I have been using Curcumin since 2 and half years . My Oncologist told me that I can stop Chemo for Multiple Myeloma and have stopped since one and half year . Thanks to the Golden Spice , Turmeric 🙂 . Hi there – – a great way to get your one and a half teaspoons of raw Tumeric every day, is to throw a large knob, about the size of your thumb, into your centrifugal juicer, easy digestion, really effective. Can you just finely slice some turmeric root, put it in your mouth and swallow it? If you then swallow a teaspoon of fish oil or coconut oil will that enhance its absorption? Hello all . I am a huge believer in the benefts off raw turmeric . I treat my clients for arthritis, and accident injuries with fresh tumeric . Take one glass off milk grate a small piece off tumeric the size off half off your thumb . Then put it onto the stove on a slow boil until the milk becomes half a glass . Pour the milk into a glass and add a spoon off honey and have it as the last thing before you sleep every night . Allah be my witness that this is a icicle cure . Hi Imraan. Thank you for sharing your experience. Wish you great health! Then how to convert this 1/2 cup turmeric powder to raw turmeric? Should raw turmeric be eaten with or without peeling? Any health benefits in the peel? Hi. That is based on your preference, we recommend peeling since the outer skin is hard to consume. We have not come across any evidence regarding health benefits in the peel yet. Hi. Yes you should find a cluster of roots once the plant matures. The leaves are also used for cooking; traditionally when steaming certain food items you have to wrap them in turmeric leaves and then steam them. Here is a short guide on things you should take care while growing turmeric. I eat raw Tumeric every day with my dinner. Just take a couple big bite, swallow it , and done. I been eat fresh Tumeric for one year now for acid reflux and been off from Nexium what I been take for 10 years. My doctor said longer it works, I been on medication too long. I m not sure if it help, but my blood pressure is going down too. Great benefits from mothers nature. Thank you for sharing your feedback. Wish you great health! I’ve been making this this tea for years. At first I took it because my finger joints were hurting. After four or five days using this tea, the pain went away and I have never had a cold. Chop ginger and turmeric. Put everything into the water. Microwave two minutes. Let steep 10 minutes. Strain. Stir. Drink hot/warm on empty stomach first thing in the morning. I think I’m using way too much turmeric. Do you think so? Is there any way you would tweek this recipe? Is raw turmeric helps to control Acne ? I have never used turmeric before. I have a recipe for a tonic that requires raw cider and fermentation of a variety of things, with raw honey and ground turmeric added after fermentation is accomplished. The fermented brew is strained and solids discarded. To have maximum benefit, should I: use as the recipe says and add gr. turmeric at the end; add grated fresh turmeric at the end; ferment the fresh turmeric with the vinegar and discard with the solids? Hi Julie. Seems like an interesting recipe. The reason for adding turmeric in the end should be to allow the organic components absorb curcumin and other active ingredients. It’s kind of like steeping the goodness of turmeric by allowing it to ferment. But we can’t really comment on the safety of the tonic; there must be certain precautions that one may need to take while preparing it. We suggest consulting a herbalist about this. Hi. 1 tablespoon seems a little too much; you could consider splitting into two doses per day. However that depends on your system, if you are not facing any gastric issues then it shouldn’t be a problem. What you could do is make a paste of garlic, turmeric and cinnamon and store in the fridge. Whenever you plan to consume it, add honey at that moment and consume it. Preferably the flavor should be retained for a week if used and stored in the fridge. If it does not smell good after 2 days then please avoid taking it. Can you just cut a slice of tumeric off, a piece, and eat it like a small piece of raw, carrot? Hi. Yes that is absolutely fine. Slices of raw turmeric can be included in diet daily. They are slightly bitter but apart from that there is no issue. I have Type 2 diabetes, therefore mixing the turmeric with honey and other ingredients is a definite no. However I also suffer very badly with back problems and inflammation and want to experiment with turmeric. After reading your great article, am I right to assume I can just literally grate 1.5 – 2 teaspoons of raw turmeric and swallow with water daily to get the great benefits? Please confirm. Additionally, I have also read that to get the best benefits it should also be taken with black pepper, is this true. I look forward to your help. Thanks in advance. Raw turmeric is awesome for health. Yes you can grate it and swallow it with water or incorporate it in a meal. That will definitely have health benefits but might not be sufficient to get a therapeutic effect. You can also make Golden Paste from fresh roots. Hope this helps. Do let us know in case you have any other doubts. So, is it accurate that nothing else is needed with fresh turmeric or is the bioavailability simply “better” than powder and the addition of black pepper and/or a fat is still ideal to max out the bioavailability? Hi Chris.It is true that fresh roots contain turmeric oil that naturally aid in curcumin’s absorption. This is the premise behind the BCM-95 formulation of turmeric supplements; they contain turmeric oil components which make them more bioavailable than plain curcumin. In case of turmeric powder, it is suggested to add oil and black pepper to increase the absorption since it has negligible natural turmeric oil components. With fresh turmeric, there is no need to add any other component; addition of black pepper will still add to its benefits as well as bioavailability. We have not come across any study comparing the bioavailability of fresh turmeric roots versus the powder but one would need large doses of turmeric roots in comparison to powder if you are aiming to treat any health condition. This is primarily because dietary amount of turmeric roots would not provide enough curcumin to treat major disorders. So the comment above was just to indicate that one cannot expect major pharmacological benefits with grated turmeric and one may need to opt for turmeric powder as Golden paste or supplements. If opting for powder, oil and/or black pepper are necessary for absorption. Can’t wait to start incorporating more in my diet. But I do have to disagree that fresh is cheaper than powder. I am a 69 years. Diagnosed with metabolic syndrome in 2011 but improved lipids to a healthy range without medication through diet, exercise and supplements however recent renal ultrasound indicated numerous gallstones present. Recently research of turmeric on web resulted in conflicting comments regarding turmeric and gallstones. any comments? I’m also recovering from a grade 3 concussion from being hit by a car as a pedestrian – since which I had a couple of minor falls where bumped my head but did not lose consciousness – 2 days prior to my MVA accident I walked 11 km in 1 3/4 hours in preparation to walk a half marathon. I recently tried golden paste and mixed half teaspoon of the paste with milk kefir with honey and love it. My concern is would a couple of drinks of this per day be safe with gallstones. my concussion affected my word retrieval somewhat and easily distracted & startled but recent cognitive testing indicates I am generally above the norm for people less that my age cognitive function though do have a tendency to wander off topic. Any comments regarding use of turmeric with current conditions would be appreciated. ‘thank you. Quite a number of studies point out that turmeric is therapeutic in traumatic brain injury. It can help protect and improve cognition. Curcumin in turmeric can cause gallbladder contractions which may be painful in active gallstones. However if you stick to a dietary amount say 1-2 tsp of Golden Paste a day in divided doses there should not be much of an issue. 1/2 tsp with every drink say 2 drinks a day should be safe. I just tried fresh grated Tumeric for the first time. The taste is different but I didn’t care for the skin. can you get the same benefits after straining out the skin? Yes. Even after peeling the skin, one can derive health benefits from turmeric. However make sure you peel only the skin and not the orange-yellow part. I would like to ask if i can store fresh ground turmeric with olive oil in a glass jar in the refrigerator for daily use and for how long can i keep it? Any advice will be very helpful and appreciated. Hi. By fresh ground turmeric do you mean roots or turmeric powder? If you are talking about turmeric paste made from turmeric powder then it stays fine for at least 1-2 weeks when refrigerated. If its fresh turmeric roots in olive oil, then honestly we have come across this method of storage so it would be hard to comment on it. However you can make Turmeric Pickle or Golden Paste. 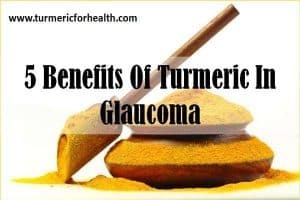 Hi, what are the benefits of using tumeric for the eyes? I am legally blind as a result of type I diabetes. I have no vision in one eye, and low, functional vision in the other. My blind eye is softening and shrinking as a resulf of multiple failed surgeries in an attempt to address the retinal detachment. Poor night vision as well. I am fighting very very hard to save my eyesight. Also, Should I take the solid or powder form? how should I take it? what recipes or regime should I use? Please help! I am also open to any other suggestions. Hi. Turmeric does help with diabetes associated eye complications. You can take Golden Paste made from turmeric powder. Start with small doses such as 1/4-1/2 tsp and if you see no side effects then increase the dose gradually to 1-2 tsp 2-3 times a day over a few weeks. Best taken with food to avoid acid reflux. Avoid taking it at the same time when you take other meds. If needed you can consult a herbalist or naturopath about turmeric supplements. I have been “drinking” turmeric powder in one way or another for 4 years. Recently I decided to buy the root, wash it, cut a small chuck and eat it with a ginger chuck with a teaspoon of honey. I eat the peeling and all. I read through comments, but I didn’t see questions about making a turmeric tincture. I grated a 1/4 lb and covered with 100 proof vodka, sealed in a jar and put in closet for next 3 weeks. Looks like I need to open it to add fresh ground pepper according to comments. Any comments? Tinctures need to be prepared with extreme care. A few factors to consider is the time when the root has been harvested, part of the root that has been used to prepare the tincture and the number of serial dilutions to be performed. It is best to consult a herbalist about turmeric tincture. I buy the fresh root and add it grated along with fresh black pepper and spinach(or kale) to a three egg omelet that I serve with mushrooms and bacon as I am on the ketogenic and diet. So this is my breakfast three to for times a week. Thanks for sharing this Hamish. It is a great way to include turmeric in diet. I add peeled,grated turmeric; about 2 heaping tbs, to the same amount if grated ginger; the juice of two lemons, a tablespoon of raw honey and cracked black pepper (20 cranks on the pepper mill). Add to 16 oz warm water. Microwave 2 minutes. We drink it, including all the bits. Keep stirring as you drink. It’s “spicey” but we are oddly fond of it. We also add two tsp of cinnamon. This much cinnamon may need a bit more honey. We start our morning this way and wait about 30 minutes before having anything else. Try to only use organic. Interesting recipe. And yes this concoction is good as anti-inflammatory and therapeutic in many ways. However we would suggest limiting cinnamon powder to 1/2 tsp per glass. Thank you for sharing this with us. Microwaves are a no no when it comes to health. Microwave ovens are fine! Microwave is just light that is lower in energy (less powerful) than the infrared light, which is what conventional ovens use! Microwaves work faster than conventional ovens because they don’t interact very well with food. Kind of like how wifi only touches things made out of metal, microwaves pass through most of the food and very lightly massage some of the water molecules into getting excited, and then the water molecules’ vibrations are what heat the food. Ovens, on the other hand, cause the stuff they cook to turn brown and tough because they actually start the burning process. What is the reason for limiting cinnamon? I slice ginger and turmeric, boil and after I add lemon. Drink when warm. Loose the microwave but otherwise sounds like your on the right track. 2 questions actually: I have a risk factor for bezoars. Can I enjoy a spoonful or two of fresh turmeric without courting the possibility of this type of fiber-related intestinal blockage? Also, might a topical application help tame benign skin lesions such as nevi? 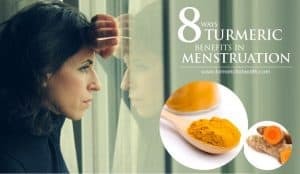 Mike, 1 teaspoon of grated fresh turmeric root should not cause an issue but if you are sensitive to it you can take turmeric powder with black pepper and oil. For topical application you can mix turmeric powder with extra virgin coconut or olive oil and apply it to the affected region. Conduct a patch test prior. Turmeric is good for skin but if the lesion is something like a birthmark then we cant comment on its efficacy. I love reading about healthy eating habits. I like fresh turmeric best. I grate about two teaspoons into my loose tea net and then add about two tablespoons of rooibos chai. Then I fill the pot which holds about a quart of boiling water. I let it steep for at least a half hour. I drink this tea, which includes cardamon and cinnamon, throughout the day. It tastes good warm or cold. Thank you for sharing this Deborah,its a very delicious recipe. If you put tumeric in the microwave does the radiation not destroy it? Hi. We have not come across any study regarding this but apparently researchers are trying to identify a temperature optimal for microwave drying in turmeric powder preparation and processing. For years I cooked Indonesian food without knowing about the health benefits of Turmeric. The fresh form is hard to find in my area so I most of the time have to stick to the powdered form. I wonder if you can freeze fresh turmeric and in that way I can buy it in bulk when I get to a place where I can by it. Thanks for sharing all the information and thanks to all the people who shared there experience with this health booster. Hi. You can buy fresh turmeric and store it in the refrigerator for 2-3 weeks. But freezing it, would dry the root and cause loss of potency. You can still buy fresh turmeric in bulk and store them as powder or pickle. I have been freezing tumeric for years with no issues. It retains moisture and tastes totally fresh. I also prefer to do this as is is easier to grate from frozen. Yes you can freeze tumeric. When you purchase the roots just wash them and place in plastic bags and freeze and when ready take them out and use as you normally would. Fresh turmeric root contains oils which help in absorption and even ginger helps in absorption. So including fresh roots in diet is a great way of taking it. You could still add a pinch of black pepper if it suits you. 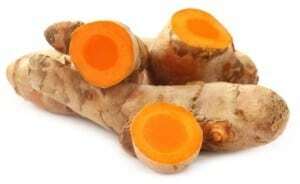 No ginger boiled with turmeric would not affect curcumin. Instead it would add to the health benefits. it is okay if i just boil the roots and ready to drink? I have been cooking with turmeric for years. But I have started eating fresh turmeric with a little fresh garlic and black pepper everyday. But i don,t chew it. I cut it up small and swallow it with 8 oz water first thing in the mourning. 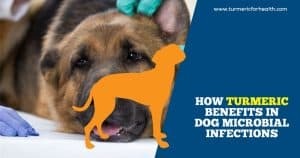 Am i still getting all the benefits? My husband and I have just started taking raw turmeric. It was recommended to us by a clinic that is doing an Alzhiemers study. He is in the early stages of dementia, and we were told that turmeric could help. I just put it in my food chopper and them add a tablespoon to my juice in the morning. Is this OK? We are very new to this, and what is the reason for pepper? i already have turmeric powder. is it ok if i just use it and add olive oil and black pepper? HI, is it ok to keep raw turmeric in the freezer? I add slices to rice when cooking. Yes you can store raw turmeric in the refrigerator for a week. Thanks for quick reply! But just to clarify, my question is regarding storing the raw turmeric in the freezer. I have a small bag of it and don’t think I can finish it in a week, so I am storing some in the freezer. I know there’s a general rule of thumb that storage life in freezer is longer than fridge. So was wondering if this rule would apply to raw turmeric? 1/2 year? Its not advised to store it in the freezer since that would dry up the root. Fridge would be fine. But definitely not more than a month. It would dry up and lose its taste and potency. A tasty and a good way to preserve turmeric root for long is to make a pickle out of it. we have a lot of turmeric here in philippines specialy in vesayas region so what i have to do is just boil the roots and drink it is okay? It is absolutely fine to boil the roots and consume it as tea. This helps with pain relief, improving immunity and fighting flu. Turmeric and curcumin is poorly soluble in water so it best to consume it with a healthy fat and/or black pepper for absorption. This is for a more therapeutic effect. You can still take turmeric tea for daily health benefits. I use the fresh grated organic root in a paleo carrot cake muffin along with frsh ginger and it is superb – adds a lovely flavor and color! Any recipe that calls for ginger works with an addition of fresh tumeric root too I have found. I love it raw, like carrots! However, I prefer eating it washed but not peeled– whats the harm? I read above it should be peeled but I prefer it natural! Opps duplicate -I did not see that my first comment posted. This is the shorter version! I adore the taste of both raw fresh numeric root so much I have to hold back from eating it like a carrot throughout the day! I like to include it in Kim Chi and salsas. I have washed mine but not peeled it. I read above that one should peel it but I like the outside. If it is not from China and washed why must it be peeled? And are their not nutrients in the skin? Its preferable to peel it only to get rid of possible contaminants and to make it palatable. Since you like the taste and you wash the rhizome prior to eating it , its ok to keep the peel. I just bought fresh Turmeric root for the first time. Can it be sauteed with garlic and oil or would you sprinkle it on a vegetable after sauteed. I am not sure how to use as to get the ultimate benefits. Cooking turmeric with oil is one good way of deriving health benefits from it. Its great to eat it either ways but cooking definitely increases absorption of its bioactive ingredients. Angela thank you for sharing your recipe. What is the best time to have raw turmeric? There is no particular time but best taken with meals and consumed within a week since the rhizome has been cut. If I just boil turmeric and drink it, do I still get the full benefits? How much should I consume on a daily basis? Hot water extract of turmeric is found to be beneficial. But it would be the best if you could consume turmeric with black pepper and/or oil since curcumin- the active ingredient of turmeric is not soluble in water and is poorly absorbed in the body. Black pepper and fats help in its absorption. Yes, generally turmeric roots are peeled before consumption. I would like some clarification on the health benefits of raw vs. the powder. This page says powder does not offer the same benefits but when you link to the page on how to prepare a golden paste it specifically calls for the powder. I have been using this recipe for the last few weeks but am now wondering if its been a waste? Thank you for mentioning this point. The recipe you are making is definitely not a waste. Coming to the health benefits, raw turmeric provides you with nutrients such as proteins, carbohydrates and vitamins which would be missing from the powder. Also the percentage of curcumin and volatile oils would be reduced in powder. But eating fresh turmeric can be difficult due to its sharp pungent taste. Also the bioavailability with golden paste can be enhanced with black pepper and oil. So you can continue using the golden paste and sometimes venture with raw turmeric in salads. I include fresh tumeric in my daily juicing of carrots celery kale ginger and garlic. Thank you for sharing this. Yes that is a great way of including fresh turmeric in diet. Grow fresh turmeric and get a wheatgrass juicer…..will get every bit of juice out. Pulp will come out other end, so no need to peel. Mix with honey and put into. a little Silk Coconut Milk and enjoy. Grow ginger and turmeric and use your wheatgrass juicer……adding Honey is a preservative. No need to refrigerate thanks to honey, use equal amounts of all. Same amount of ginger…turmeric and honey whipped all together. Just add a tablespoon or two to your milk whenever. Raw turmeric and ginger best for health…..powder useless in my book. I recently bought some fresh turmeric and because i wasn’t sure how to use it, i just put it in my freezer. I’m sure it’s lost some potency, but it’s been great! I can grate it with a microplane into tea,milk,food, even salad dressing and it doesn’t dry up or go bad. I also do this with ginger! Jessica, you can store fresh turmeric in the refrigerator for up to 8 days. It would not lose its potency then. The above article is about the use of fresh turmeric root and it’s benefits over ground turmeric, yet when you go to the recipe for golden paste, the recipe uses ground turmeric. Makes the article quite pointless. Why is it so hard to find a recipe using fresh turmeric root for golden paste, when the benefits are far greater than the grounded powder???????? When making the paste with fresh turmeric roots the presence of fibres can affect the texture and taste of the paste. Therefore its preferable to use turmeric powder. Raw turmeric can still be taken daily in salads or can be grated over soups and curries. How would one prepare fresh tumeric for use in the paste? Can it be grated small enough, or is there another technique? Yes you can grate fresh turmeric but it is preferable to use turmeric powder. This is because you would need large amounts of grated turmeric to achieve same potency as powder. I just bought two tumeric roots and am unsure how to go about adding in the right amount of pepper with it (I platoon grating it and using it that way. Also, someone mentioned freezing it. Can you freeze the whole root? I’m new to all of this so if you can comment I would appreciate it. The reason for adding black pepper to turmeric powder is to make it bioavailable otherwise your liver will dispose of it before it has chance to do you any good, Black pepper disguises turmeric so that the liver allows it through. As raw turmeric contains its own oil it is already bioavailable. Oils & fats bypass the liver so the turmeric is able to get straight to work. You can freeze the whole rhizome but you would find it easier to break into sections. It is then less cumbersome to handle whilst frozen. Just grate off what you need and place it back in the freezer. The amount of black pepper would depend upon the quantity of the grated material and yes you can freeze whole roots. Tumeric smells like crap and it taste worse . Why does GOD create healthy things that are so horrible ??? almond butter and a little honey and a cookie . I add a little fresh ground pepper and some cinnamon in with a cup of green tea to wash it down . I disagree- I love the taste of good raw turmeric, and eat it with eggs, or make salad dressing out of it, and even slice it up and steep it for tea with some raw honey and ginger- you are missing out! I am putting raw turmeric in my juicer with my carrot juice and then adding ground black pepper. Do I need to be careful how much I am using. So far maybe about a couple of tablespoons in a twelve ounce drink. I would say that it is better that with a little carrot juice (or any other juice you’re taking) you liquify the turmeric on a blender instead of putting it in a juicer. You’ll take the little fiber it has, and also add the whole complement of it, other than losing many things when putting in the juicer. High doses of turmeric may cause gastric side effects. For raw turmeric the dose is 1-3 g.
U say there should be oil. But does the oil need to be warm an tumeric braised to release its properties? For the Golden Paste we recommend using turmeric powder. Cooking raw turmeric increases absorption. Raw turmeric can be juiced or grated and added to soups and salads. (1) I see the recipe for TURMERIC PASTE when using powdered turmeric but NOT for using RAW turmeric. And please give answer in terms of inches, half-inches etc when using the root. (2) Is turmeric SAFE for young children? (3) I’m currently using the raw/root in a daily DETOX drink combined with GINGER, HONEY AND LEMON. Want to be careful not to take too much turmeric on a daily basis as my best friend, who had leukemia, passed away one year ago. She CHEWED RAW TURMERIC DAILY. No one knows her daily consumption. The doctors said her liver was TOXIC and it was too late to do anything about it. Is there any research on HOW MUCH IS TOO MUCH? We can overdo anything. I’m eating from 2 big roots (round 2 inches each), to 6 medium roots around the whole day. Hi. For turmeric paste it is preferable to use turmeric powder since the taste would be affected by presence of fibre from roots and also you would need a large quantity of grated turmeric say about 4-5 roots peeled and grated. We have not come across any report as of yet of raw turmeric causing liver toxicity but a dose of 1-3 g say about an inch long piece is advised per day. Also turmeric in diet is safe for children. Thank you for your queries and appreciation. THIS IS THE BEST OPERTUNITY TOKNOW ABOUT TURMERIC. RAW TURMERIC AVAILABLE MOSTLY IN MONTH OF MAY.WE CAN TAKE RAW TURMERIC PASTE AS A SOUP WITH RICE. IT IS VERY GOOD FOR HEALTH. I buy fresh Turmeric root and freeze it until I’m ready to grate it up for soup; using a two inch root, per bowl of homemade soup. This has saved me $$$ opposed to purchasing Curcumin supplements. I have a turmeric plant growing in my apartment and hopefully will be able to bring it to harvest by March 2016. I love the aroma and taste of fresh Turmeric, it’s soothing to me. You are correct. Raw turmeric is great and also relatively cheaper. It is great that you are harvesting your own, nothing like t.
once the plant starts to die back for winter you can lift the rhizomes and dry them off. You treat them much like you would any root veg. I live in an apartment too, and I’d love to know how you planted – seeds, bulbs, and in a pot? Any information to assist me would be appreciative. Thanks in advance. It seems to be good while taking turmeric powder as a whole. However, I want to know any human based research studies that substantiate the improved bio-availability of cucuminoids at tissue level while taking whole turmeric. 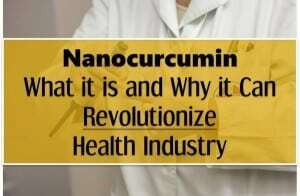 How the turmeric oil improve the bio-availability of curcuminoids also needs research findings’ support. pl. indicate me if you come across. Dr. Paulraj it is based on the insights provided by Dr. Bharat Aggarwal in one of his videos. He is known for his work on cancer and curcumin. Also as we know curcumin is soluble in oil medium, the oil present in turmeric also aids in absorption. I commend your company for using teaspoon measurements. Thank you so much. No one is mentioning the issue of buying Turmeric roots from China — very bad idea due to known heavy metal contamination which Turmeric and other nutraceutical foods from China are very good at absorbing which then pass on/bioaccumulate in our bodies. If the retail situation selling Turmeric does not give County-of-Origin information, you do not want to buy from them. All reputable suppliers give Country of Origin information, often without asking right on the sign, or you can ask the Produce person to go to the back and look on the box. This is NOT a small issue, people! This is flat-out NOT THE SAME PLANET it was 50 years ago. Most self-cure “information” used for stories like this, is very dated and fails to educate people about the reality of our nearly totally contaminated planet. Growing in your backyard/patio is a great idea but that will takes year(s) to learn and in the meantime, try to find anything besides China (and I hear India is close behind China in terms of contamination). This might be the reason you would need to buy dry root powder as back-up in the event you cannot get uncontaminated fresh root sometimes. I for one will be using Turmeric for the rest of my life and have several supply streams. Do you plant it from a bulb or a seed? I want to plant mine in a pot as well as I live in an apartment. Ariel, thanks for notes. Turmeric is now grown across the globe and one just needs small supply to start. Further, even if one uses a contaminated “first root” the % will keep decreasing as one starts using the root of the fully grown plant and so on. After a few seasons, the % will be negligible. Also – growing turmeric is NOT hard at all. It is a very simple process which everyone can do (with some precautions based on climate). I am so happy to know this! I buy raw turmeric just 15 minutes from where I live! So now I don’t have to buy the capsules for my arthritic hip!!!!! ALSO I can now add it to my home made curry powder when I cook with it. THANK YOU! That’s great. You still have to ensure that the supplier is reliable, but that’s a precaution one has to take with everything fruit / veg we eat. Do share your experience with raw turmeric – how you are using it and what issues you are facing! Hi, love the conversation and feed back. I grow my own turmeric and harvest in the first season, wash and dry with an abrasive cloth to remove dirt and most of the tender skin, I then cut into half inch section and place in a jar and cover with olive oil and cap. I leave the jar on the bench and have one section a day with breakfast, I just chew it and rinse down with water. Definitely feeling the benifits but I did have some slight stomach cramping in the early stages so I just gave it a miss for a day or two then back it to it. Alan 1/2 an inch section per day is the perfect amount and storing in olive oil is a good decision. Do use the oil in diet too. If you are facing gastric issues, do reduce the intake and gradually increase it so that your body adjusts to it. I saw your Raw Tumeric post comment I also need to buy Raw Tumeric where you buy yours is it in California? If its having an oil solves the problem of bioavailability, then its not much of a problem, because it’s easy enough to add a little oil to whatever food is being eaten with powdered turmeric. Apart from culinary considerations, it seems that the main benefit is that there is no loss of curcumin through processing, since, it seems, it is impossible for a consumer to know how much curcumin is in the powdered turmeric he buys, he can’t even take more to compensate for a low curcumin content. HI Tzvi, good observation. Many users do not use turmeric in curries etc (which is how it is taken in India, and thus have oil). People add turmeric to smoothies, salads etc. where oils are not present. Everything I add turmeric to has oils, my smoothies are make with whole milk kefir or whole milk yogurt and I try to make sure I have some coconut oil, or ghee in all of my foods, and My golden milk is obvious. I have not heard of using turmeric in salad, but anyone with any nutritional knowledge should know that a salad’s nutrition is best absorbed in the presence of oils. So added to a proper oil based salad dressing would help with delivery. I hope people learn to move away from the fat phobic fat free diet. The article says says nothing about piperin so is that the same with fresh vs. dried curry in boosing bioavailability. All said, I’d like to grow my own turmeric just because it’s nice to have access in your own garden. I think it’s the same thing with ginger, dried vs raw, different tastes mostly, but wow what a difference it makes from using one or the other. I’d never drop a spoonful of dried ginger in a cup of water and drink it, but I love to blend fresh ginger in water and strain it as a pick me up drink! Anywhoo, thanks for the article. Thanks Valeria. You are right but the diets vary a lot based on regions. Indian salads, for example, do not have oils. But you are right about the thing of growing fresh and using. Nothing beats it. Thanks for notes and please keep doing that to make us better serve our readers.